Simply defined, ethics are moral principles that govern a person's behaviors. Leaders of today's complex organizations, such as Top 100 University, must rely on those moral principles to guide their institution's future. But when are those moral principles developed in those leaders? Dr. Clancy will discuss defining moments in childhood that are key to the development of our next generation of leaders. Program is recommended for 1.0 credit in Personal Ethics at the basic level for CPA's responsible for ensuring ethical behavior, either formally or informally, in the workplace. This is a non-technical learning activity that contributes to the general competence of a CPA. It is the responsibility of the individual CPA to make the determination as to relevance to his/her individual practice. Please note our new location at Hyatt Regency! 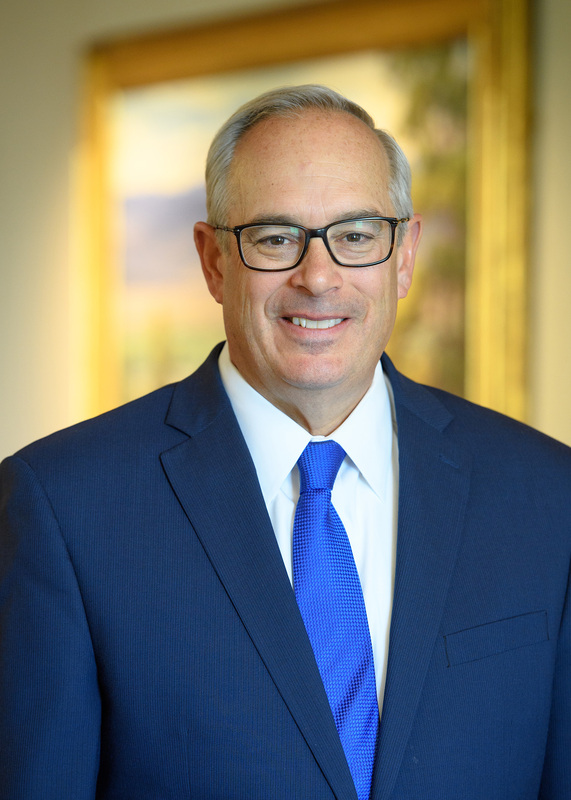 In May 2016, The University of Tulsa Board of Trustees named Dr. Gerard “Gerry” Clancy president-designate for TU. He assumed his duties as TU’s 20th president on Nov. 1, 2016. Clancy previously served as TU’s vice president of health affairs and dean of the Oxley College of Health Sciences since Jan. 1, 2015. Prior to arriving at TU, he served as president of the University of Oklahoma-Tulsa for eight years. Clancy joined OU in 2001 as dean of the College of Medicine in Tulsa, professor of psychiatry and Morningside Health Care Foundation Endowed Chair in Leadership. During his tenure as president, the OU-Tulsa Schusterman Center added more than $327 million in new facilities, academic degree programs, endowed faculty chairs and student scholarships. The campus also established educational and research partnerships with more than 100 community agencies. Clancy helped develop a community health network that included after-hours free clinics for the underserved, pediatric school-based clinics in disadvantaged areas, mobile psychiatric teams and the OU Wayman Tisdale Specialty Health Clinic. Through a $50 million donation from the George Kaiser Family Foundation, Clancy led the transformation of medical education at OU-Tulsa in 2008. Between 2009 and 2013, the OU School of Community Medicine led a successful modernization of the region’s health care delivery system. Aided by more than $16 million in federal grants, the new health programs included development of patient-centered medical home teams, care coordination services, regional information exchanges and workforce training expansion initiatives. In 2015, the OU-Tulsa College of Medicine’s Tulsa branch was renamed the OU-TU School of Community Medicine, a joint venture between the University of Oklahoma and The University of Tulsa to provide a four-year program of medical education in the City of Tulsa. Its mission is to improve the health of all Oklahomans, particularly those in underserved areas. At TU, Clancy launched the College of Health Sciences in 2015. The college is home to the TU School of Nursing; the faculty of Community Medicine; and the Departments of Kinesiology & Rehabilitative Sciences and Communication Sciences & Disorders. The new college also is working closely with TU’s other colleges on interdisciplinary projects and with the Laureate Institute for Brain Research. In 2011, Clancy served as chairman of the board of the Tulsa Metro Chamber of Commerce and led a task force to advance regional economic development. In 2014, he served as campaign chair and chairman of the board of the Tulsa Area United Way. TulsaPeople magazine named him the 2009 “Tulsan of the Year,” and in 2014, he was invited to work on international health disparities with the World Health Organization. Clancy earned his bachelor’s and medical degrees from the University of Iowa, where he later served as a faculty member and vice chairman of the Department of Psychiatry. He received The Distinguished Alumni Award for Early Achievement from the University of Iowa College of Medicine in 2005 and the Distinguished Alumni Award for Achievement from the University of Iowa in 2011. He is a graduate of the Harvard University Programs in Health Care Policy and Management and Non-Profit Financial Stewardship and served on active duty in the U.S. Air Force as a flight surgeon.